On our last trip to London we decided to stay at the Premier Inn at Gatwick Airport because it was possible to get two nights accommodation for less than what it would cost for one night in the center of London. This is true even after factoring in the train costs to get back and forth to the airport from the City (it's about a 30 minute journey by train from Gatwick to London Victoria). A side effect of our hotel choice was that it opened up additional day trip possibilities that we might not have considered if we'd been staying in London. 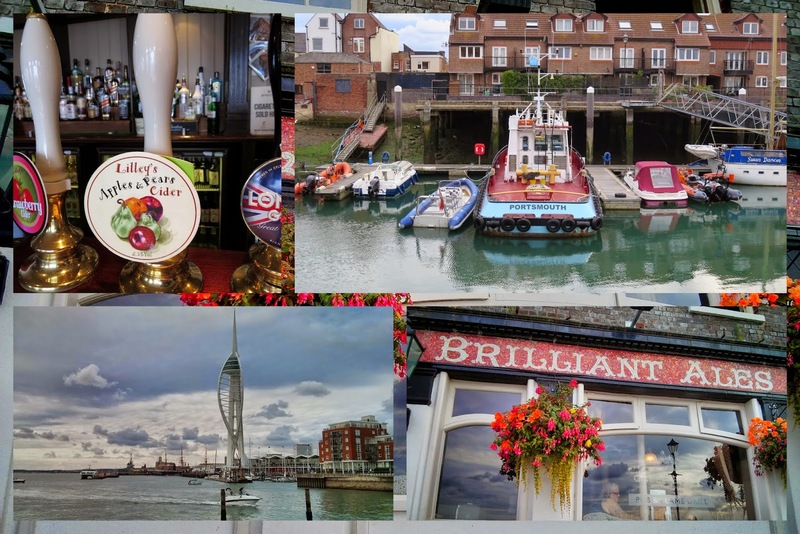 Portsmouth is about 2.5 hours from Gatwick by train and we decided to take the journey and see what this town with incredible seafaring history had to offer. 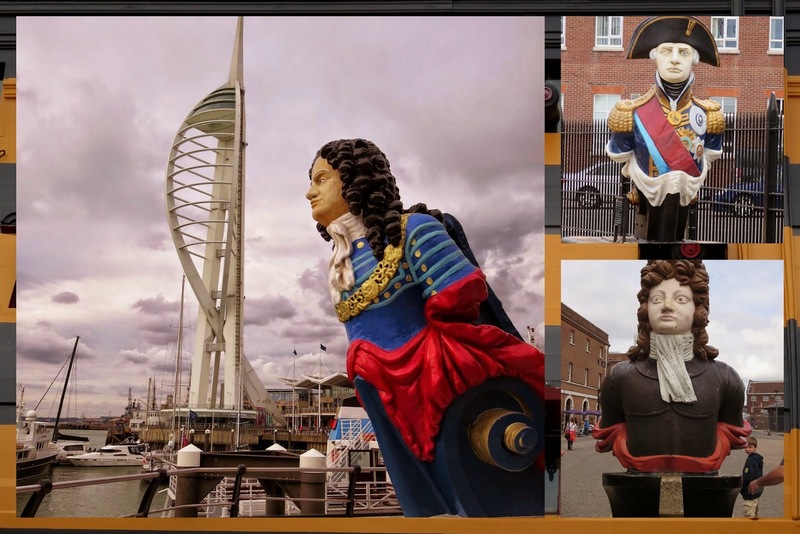 Portsmouth has a rich maritime history and this is apparent nearly everywhere you look. I loved spotting these color figureheads that used to adorn the bows of ships sailing to war or to ports around the world. 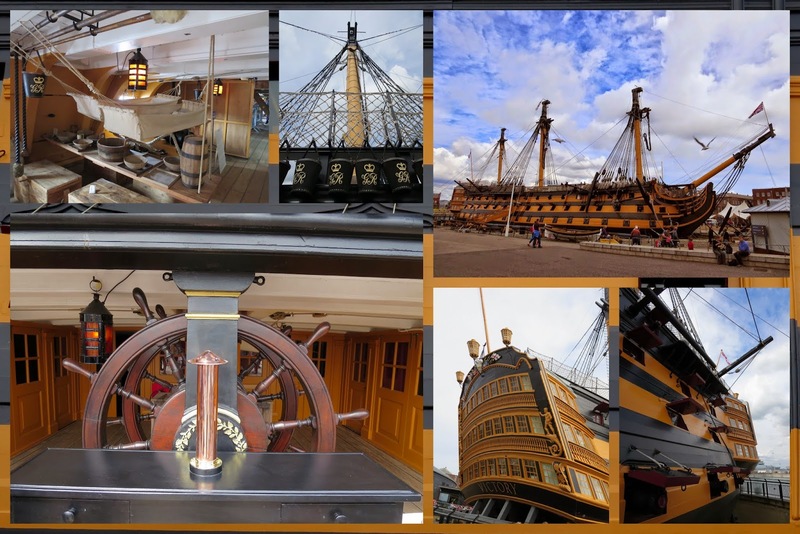 The Portsmouth Historic Dockyard features a number of historic ships include the Victory which was sailed by Admiral Nelson at Trafalgar leading to a glorious victory for England but also to his own demise. On the tour of the ship, you can even see the brandy barrel used to preserve Nelson's body to fulfill his dying wish to be buried on British soil. Henry VIII is a fascinating character and he reigned nearly 500 years ago. The Mary Rose was a ship in the royal fleet during that time and sunk not far from shore in Portsmouth Harbor. 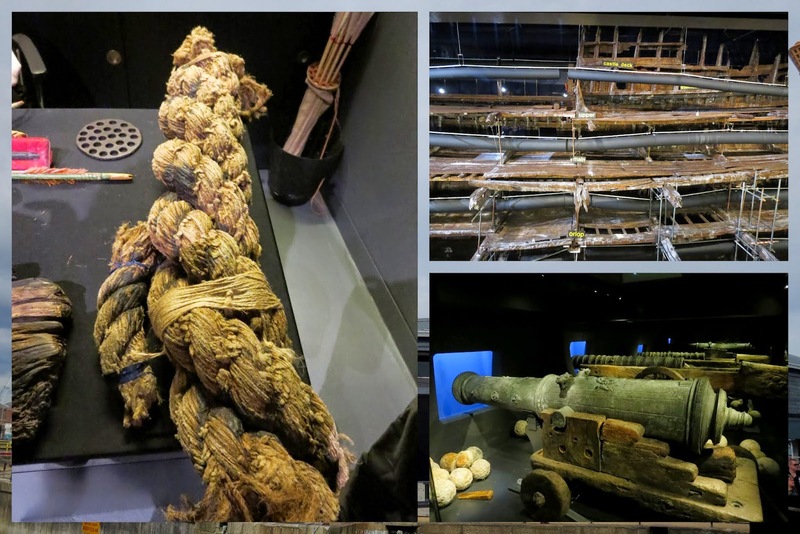 The Portsmouth Historic Dockyard features an incredible museum where you can see the remains of this historic ship and learn about the various people that lived on and below her decks. We even got to touch a piece of 500 year old rope from the wreck and breathe in the smell of 500 year old tar. Fascinating! Our Portsmouth Historic Dockyards ticket included a complimentary harbour cruise. 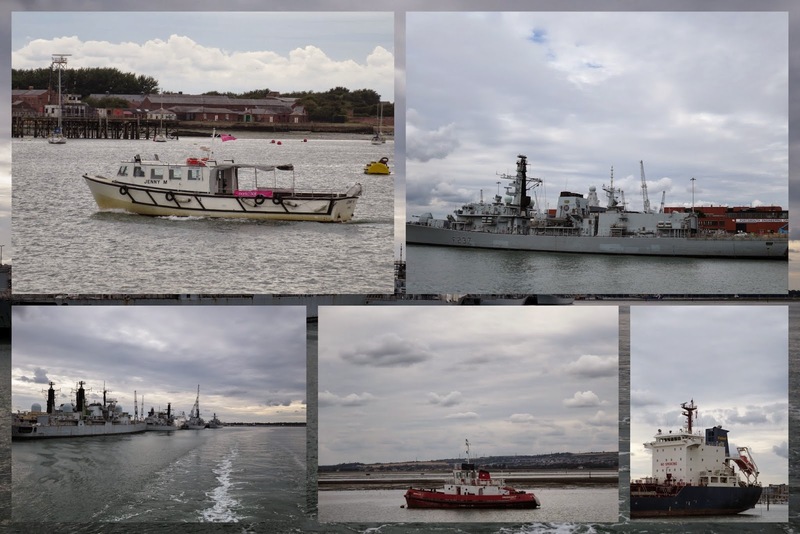 We enjoyed setting sail and seeing the steely gray of the more modern British naval ships docks in the area. Old Town Portsmouth is a charming little place featuring old brick buildings crooked with age. The sun was shining again so we took the opportunity to sit outside and sip a pint of cider while admiring our surroundings. 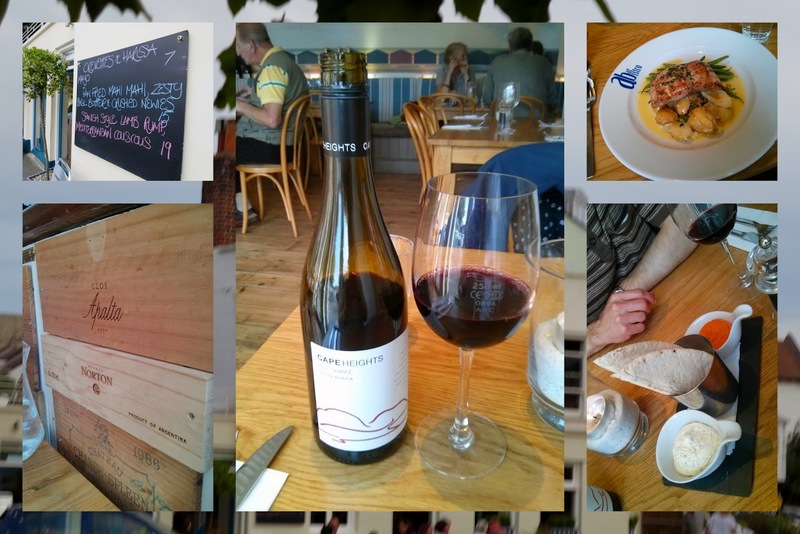 We chanced upon AB Bistro on our return to the train station from Old Town Portsmouth. We had just enough time to sample a fine gourmet meal and a bottle of South African wine before returning to the station for the ride back to Gatwick. Great eats! Overall, Portsmouth is definitely worth a visit if you are a history or maritime buff. It takes a bit of effort to get here from London but is doable in a long day trip if time is tight.